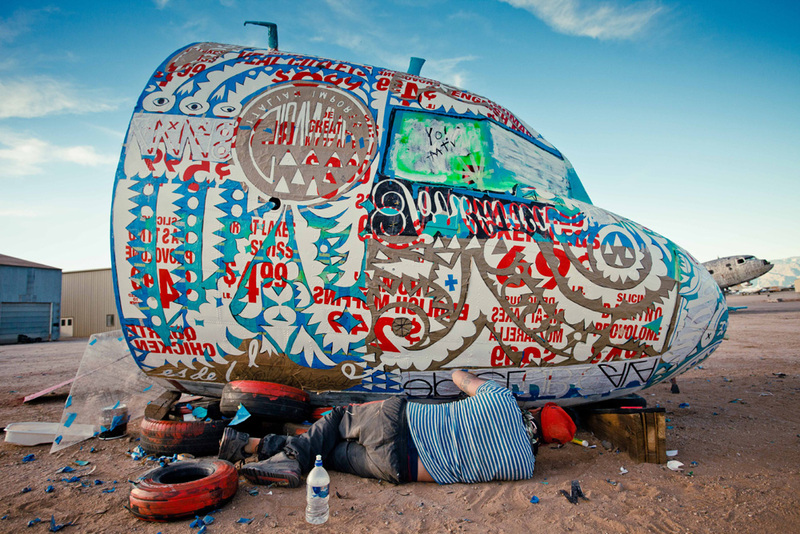 I was just told about something called The Bone Yard Project, where a group of artists are using old aircraft as canvasses for their art at the Pima Air and Space Museum in Tuscon Arizona. The project was the subject of an article on the Smithsonian Air and Space website (which was the link I was forwarded). Looking at the comments left by readers not everyone is enthused about the use of these old aircraft for art, but they do look pretty amazing! The Pima museum was the inspiration for my recent series of aircraft prints, made after I visited the museum and the nearby Davis Monthan Airforce base last year, where old aircraft go to be mothballed or dismantled. It is one of the largest aircraft boneyards in the country, if not the world. You can see all the planes stored out in the desert on Google Maps. This entry was posted in General Stuff and tagged bonyard. Bookmark the permalink.